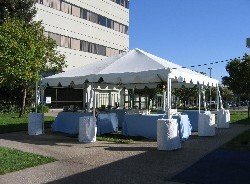 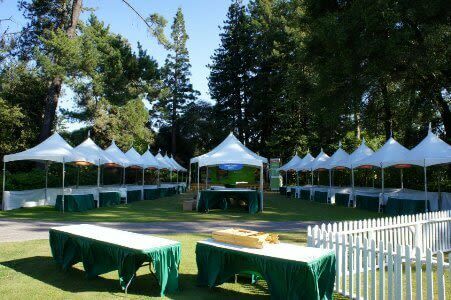 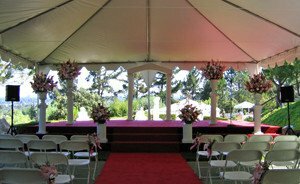 Without decorations, simple tent rentals can look rather plain and ordinary for a special occasion such as a wedding or corporate event. 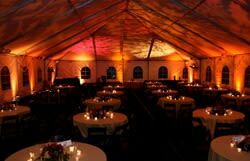 Whichever type of tent you choose to use, it’s important to add visually interesting components to transform it into an ideal venue for a celebration. 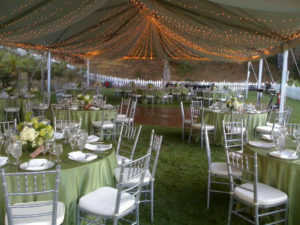 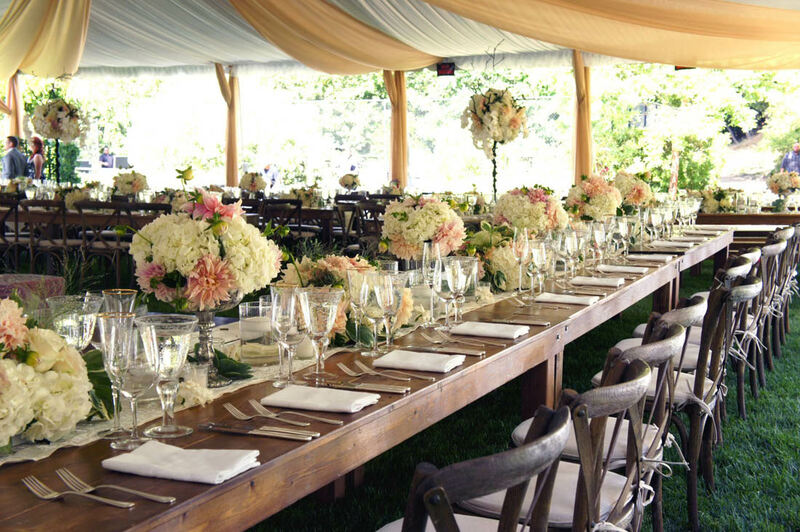 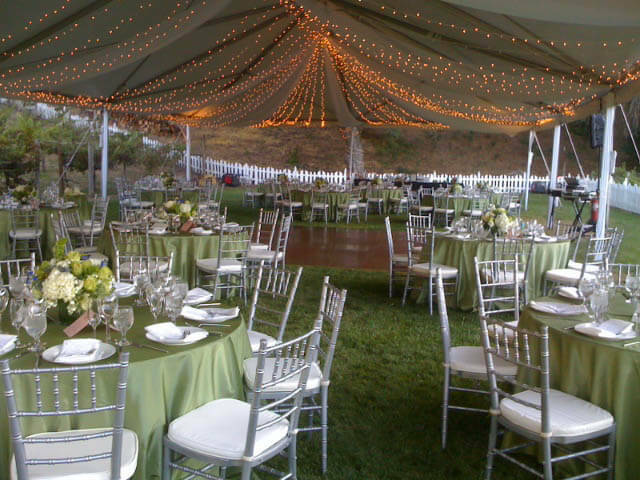 From small backyard garden parties to large galas, tents are a great canvas on which to apply personal style and flair. 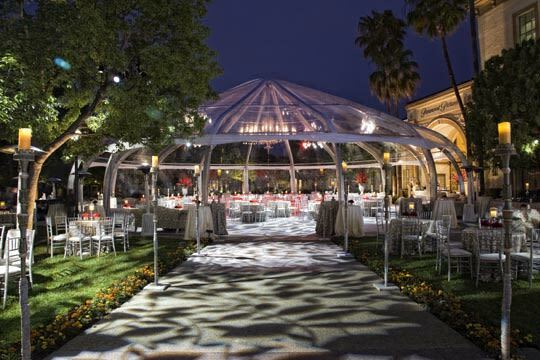 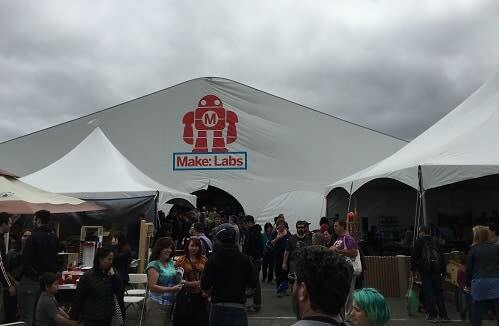 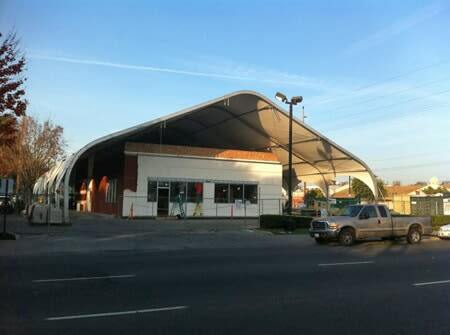 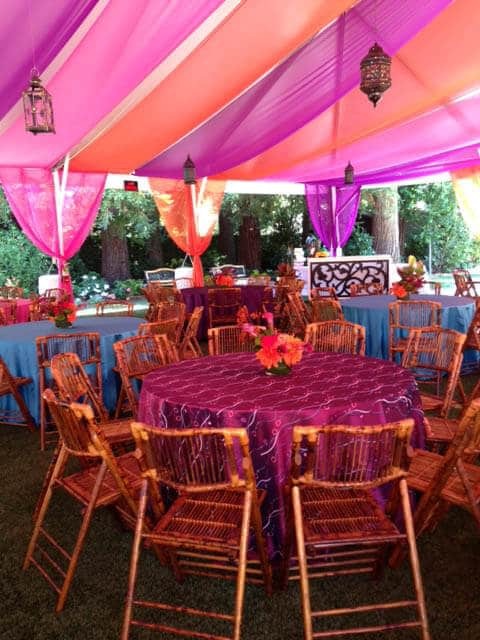 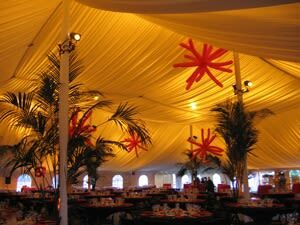 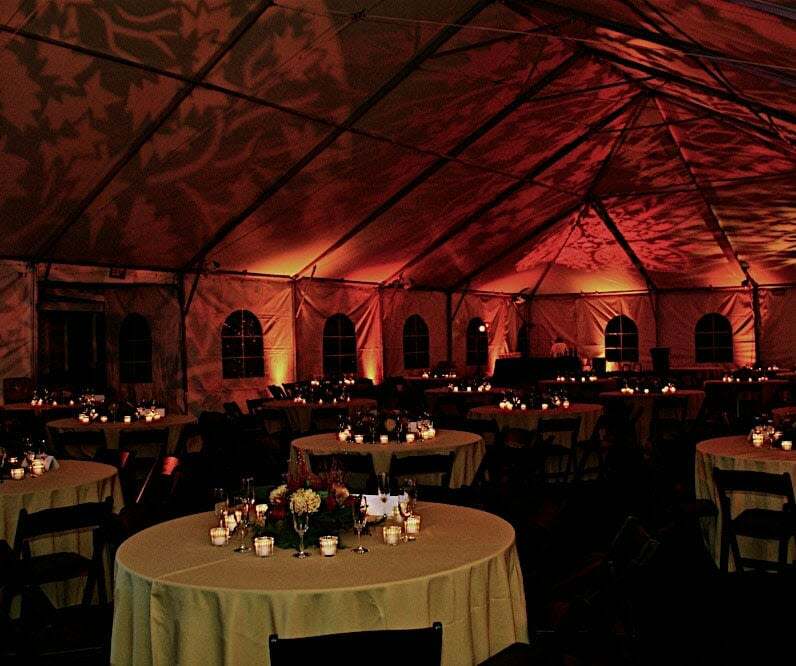 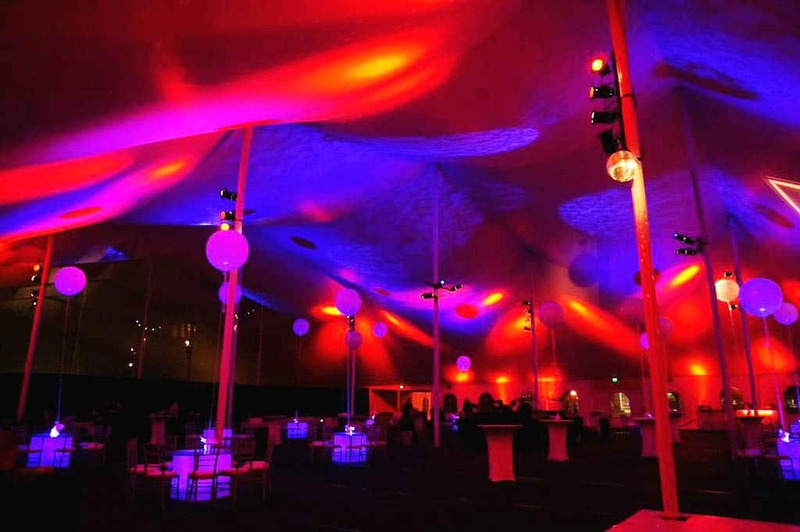 Various decorative techniques can be implemented when creating a party tent and the results can be visually outstanding with the use of ceiling and sidewall liners, fabric swagging, and pole draping. 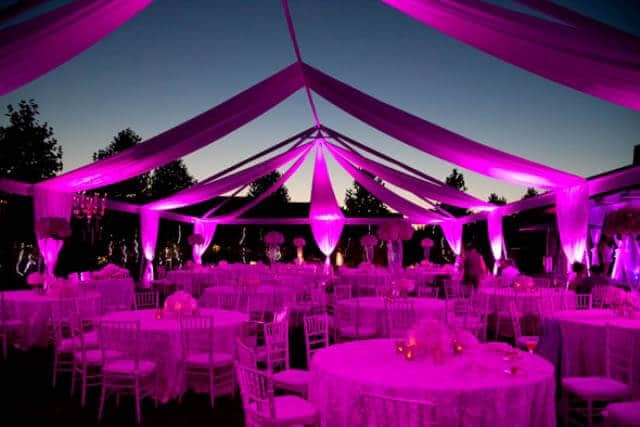 If your party is taking place during the evening or at night, a combination of fabric and decorative lights can play up and strongly enhance the atmosphere of the event. 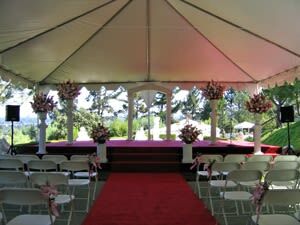 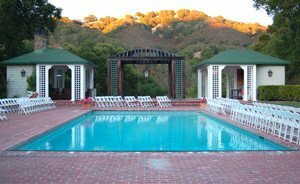 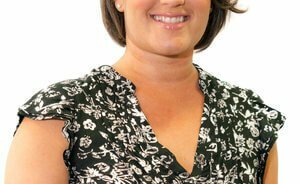 There are numerous techniques utilizing tenting accessories that can help create the theme and mood you would like to cultivate. 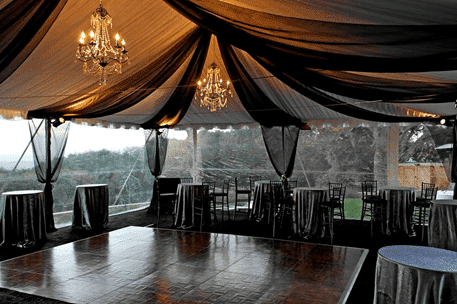 Swagging is the technique used to create billowy drapes that run across the canopy’s ceiling. 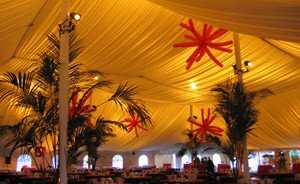 Although fabric is a common choice for swagging, you can also use vines or other props to create a dramatic look across the ceiling. 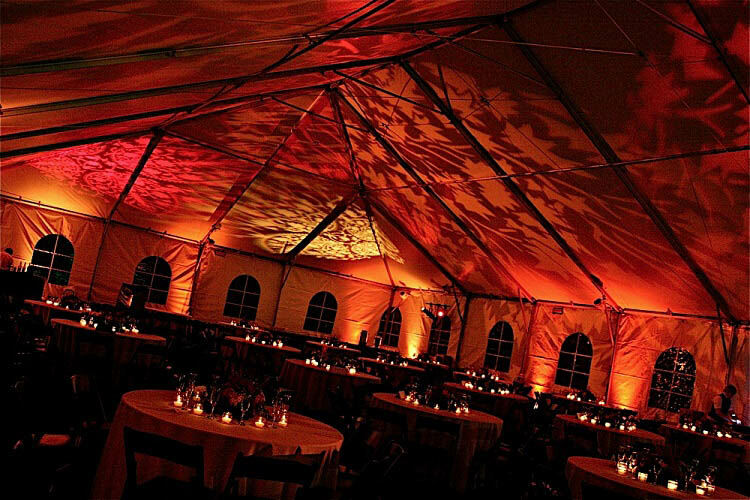 Pictured above is a beautiful example of swagging with the use of twinkle lights to create a dramatic image against the night sky. 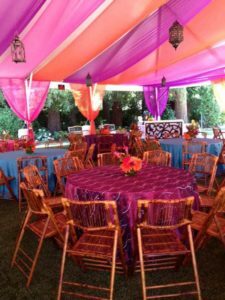 To integrate bare poles into your venue and allow them to blend seamlessly into your décor, you can wrap them with fabric of various colors and styles according to your event’s theme. 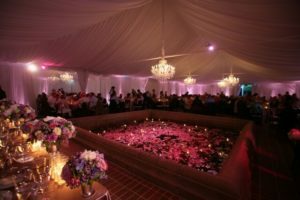 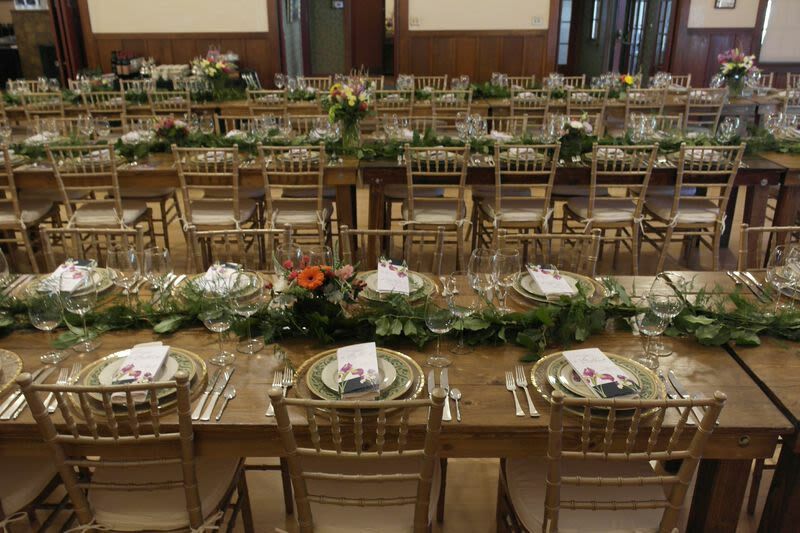 You can also experiment with other materials such as vines, flowers, and lights, depending on the overall look you wish to create for your venue. Different decorative elements not only help to conceal the structural components of a tent and its interior spaces, but also contribute to the general aesthetic which can redefine your venue. 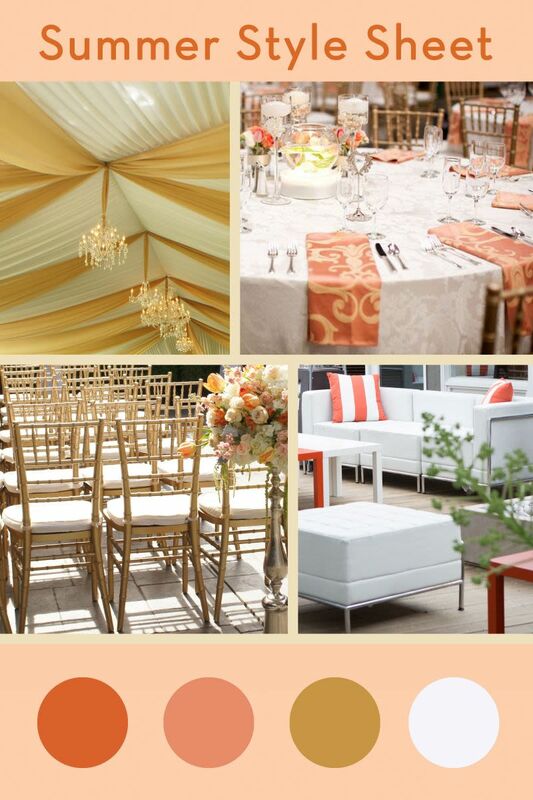 These elemental details play an integral role to your setting by providing an elegant background for finishing touches that will set a cohesive visual theme.